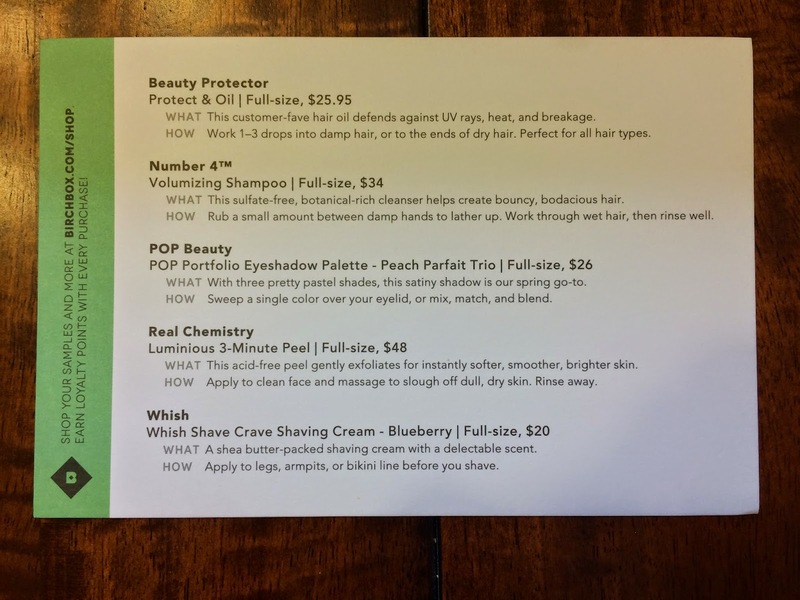 I received my April Birchbox last week. I'm always excited to see what new samples they sent me to try. And I usually peek at my account to see what I'm getting ahead of time, which I did this time. So, I knew what I was getting, but I was still excited to try them. 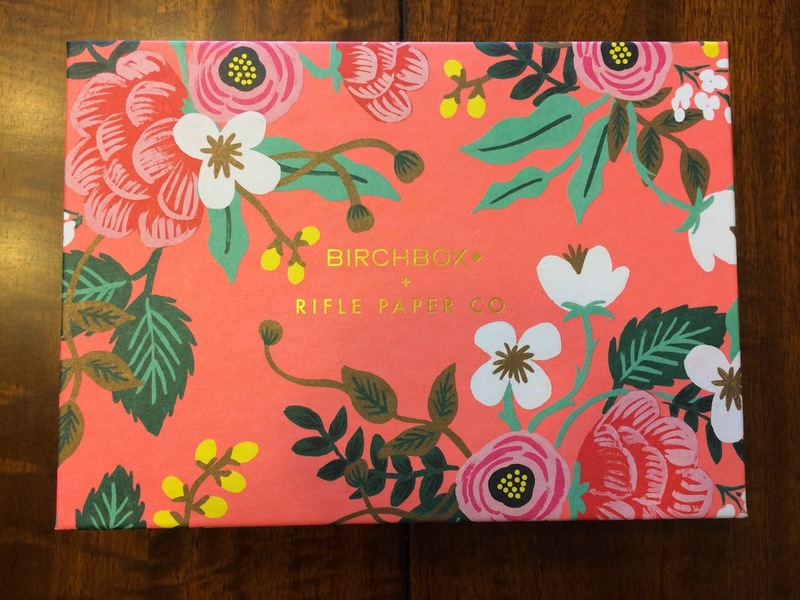 This month Birchbox partnered with Rifle Paper Co and designed my favorite box design! This is a beautiful floral print that's a signature design of Rifle Paper Co. I love it! 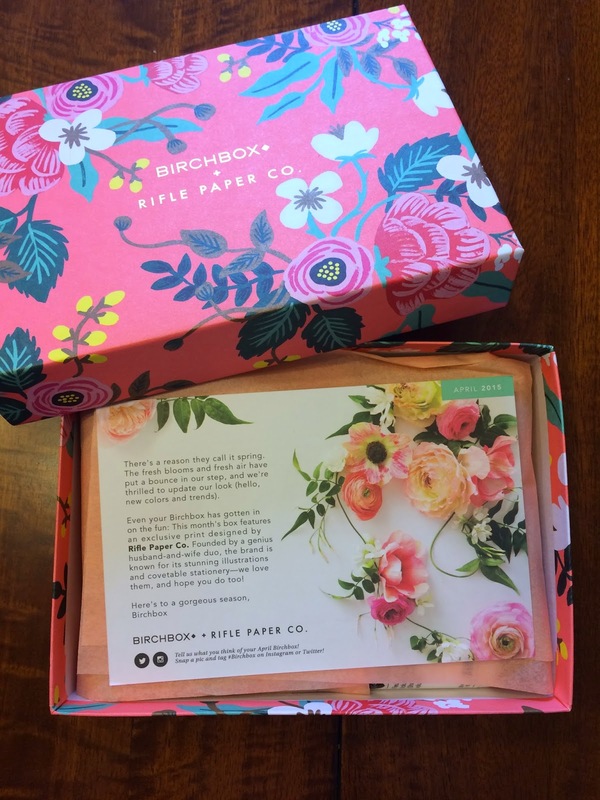 Birchbox always sends an information card to explain everything included in the box. Here is everything I received. The first item was the item I chose this month. 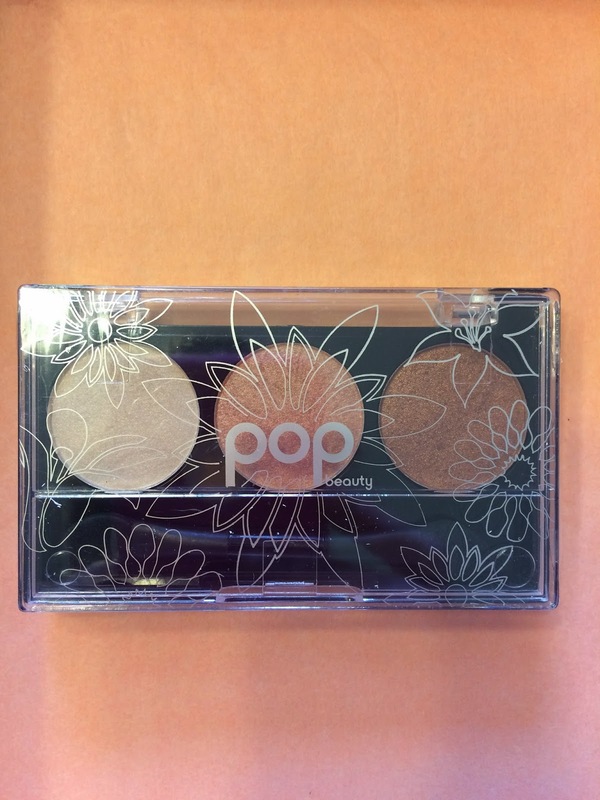 It is the POP Beauty POP Portfolio Eye Shadow Palette in Peach Parfait Trio. This is a great size and I love that it comes with 3 colors. They are neutral and perfect for wearing to work. The next item I received was Number 4 Volumizing Shampoo. I received this same brand of shampoo and conditioner last month, so I was a little surprised to see this in my box this month. I prefer to receive a variety of brands and products. It seems I've been receiving shampoo samples quite a few months in a row, so I may have to change my profile. As you might remember, I usually hate the scent of these products, but not this shampoo. It smells amazing! 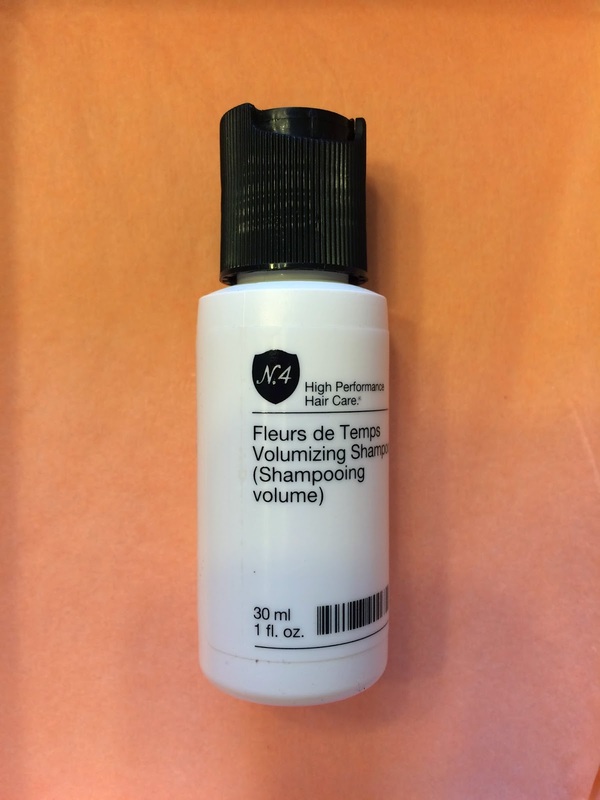 It's a clean, floral subtle scent that is perfect. It didn't give my hair a whole lot of extra volume, but it would take a miracle for that to happen. I also received Whish Shave Cream in Blueberry. I've received Whish shave cream in a previous box, so I knew what to expect. It works well to make your skin smooth. This scent is very nice, but it made me want to eat it, haha. It really does smell just like blueberries. Yum! 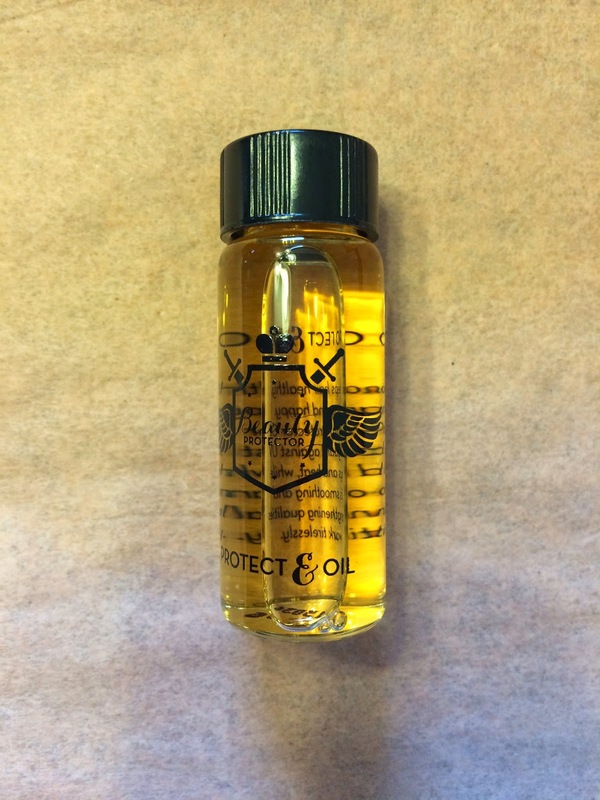 Another sample I received was Beauty Protector Protect & Oil. I love this brand, so I was happy to try this protect, Though I am always skeptical of putting oil in my hair, because my hair is fairly oily already. So I used this very sparingly. It worked well to make my hair silky and smooth. 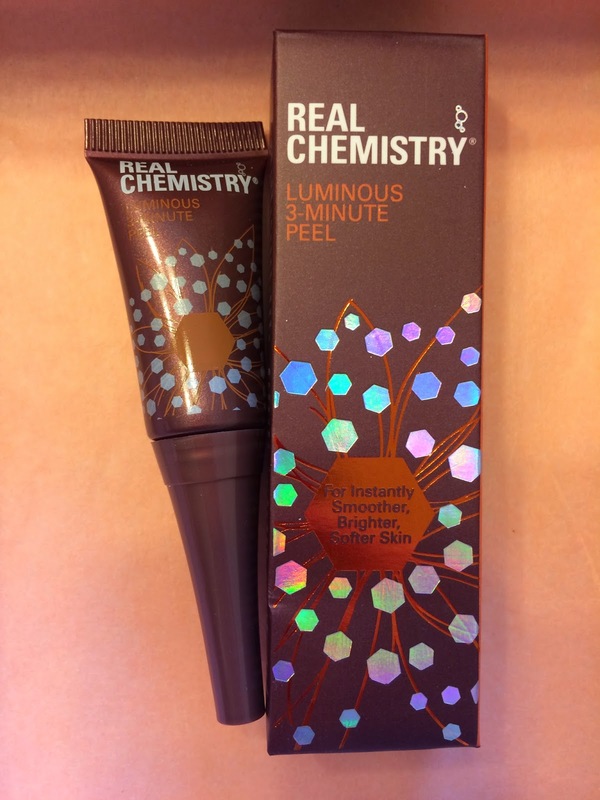 The final sample I received was Real Chemistry Luminous 3-Minute Peel. I was very excited to try this product. I love peels and masks for my skin. This was interesting. I followed the instructions that said to use on wet skin and massage in. As you massage it in you feel dead skin coming off of your skin. It kind of grossed me out to be honest. It made my skin smooth, but I'm not sure this is a product I could use often. It definitely works as it promises! My Birchbox this month seemed kind of boring and I received a couple products I had sampled in the past, which I wasn't excited about. 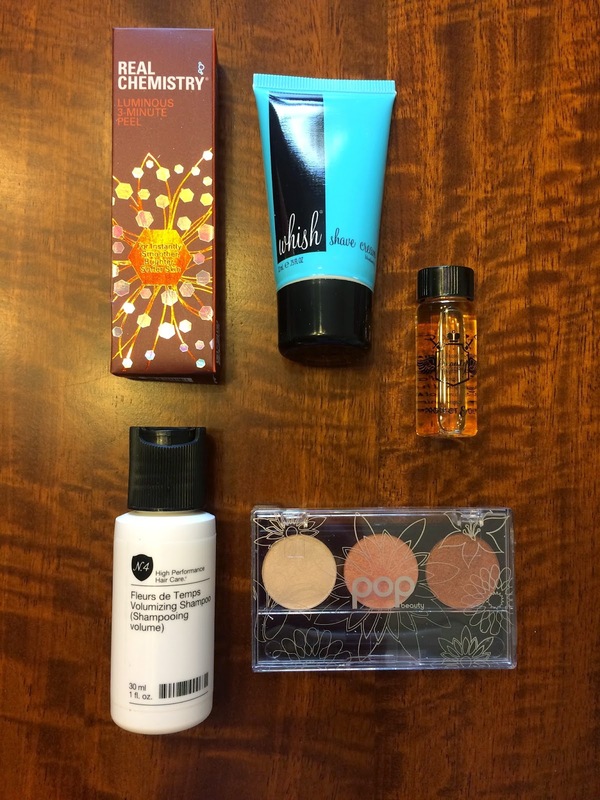 I always see amazing products on the Birchbox media sites that I would love to try, but I never seem to receive them. As an example, I've always wanted to try a sea salt spray, but have never received one, even though I've seen many different brands that others have received. I understand that it may not fit my profile, but I'd still like to try one sometime, just to see if I like it. I'm happy we are able to choose one sample, but it seems some months I would like to try all the choices and other months nothing really appeals to me. Hopefully next month I'm happier about the samples I receive.